Marking one year since the launch of the jointly developed NEBOSH HSE Certificate in Health and Safety Leadership Excellence, NEBOSH will be joined by HSE Head of Human Factors and Organisational Performance, Ed Corbett to host interactive sessions at 12:15 - 12:45pm on all three days in the HSM Knowledge Exchange theatre. Entitled ‘Achieving Health and Safety Leadership Excellence in the Workplace’, audience participation and questions are actively encouraged. Matthew Powell-Howard, NEBOSH qualifications development manager, said, “Although it’s just one year old, this one-day qualification has already been chosen by people from fantastic organisations such as The Football Association and Network Rail. 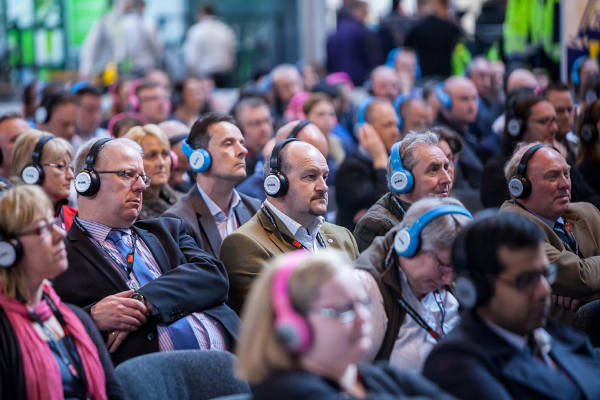 Attracting 6,000 visitors from across the UK, The Health and Safety Event takes place at The NEC in Birmingham from 9-11 April 2019. Visit NEBOSH on Stand K72 or join the team in the NEBOSH-sponsored café area to discover more about the NEBOSH HSE Certificate in Health and Safety Leadership Excellence as well as two other jointly developed qualifications: the NEBOSH HSE Certificate in Process Safety Management and soon-to-be launched NEBOSH HSE Introduction to Incident Investigation.